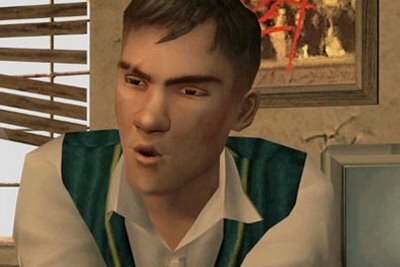 It’s the general occurrence of bullies in movie and TV shows that has to a great extent influenced the behavior pattern of bad guys in video games, from Tekken 5’s bone-headed Craig Marduk to the little brat insult machine Butch DeLoria in Fallout 3. These characters' main purpose is to belittle and hurt people who they believe are beneath them, sometimes using excessive force to assert their dominance. Bullies are bad, plain and simple. Thankfully, video game developers make sure that these heinous characters eventually get their comeuppance in the end, giving the player the chance to get revenge. For every frightful video game bully, there’s an underdog prepared to stand up to them and hand them a dosage of their own medicine. The retaliation usually comes in the form of aggression and even homicide, which is all it takes to send a video game bully packing. While there's been a bunch of memorable bullies in television, film and animation, today we take the focus off them and instead turn our attention to the underrated bullies who happen to appear in video games, These evil-spirit jerks come in all shape and sizes and don't hold back, here's the 7 biggest bullies in video game history.